If there’s one thing (besides pizza) that I LOVE/CRAVE, it’s a great burger. There’s nothing better than 2 burger patties melted cheese, LTPO and special sauce, all stacked on a golden, toasted bun-delicious! But since I’ve gone meatless, making good burgers at home, that mimic the real-thing, have been hard to come by...until today! I’ve been a huge fan of Beyond Meat ever since hearing about them while listening to the Rich Roll podcast. 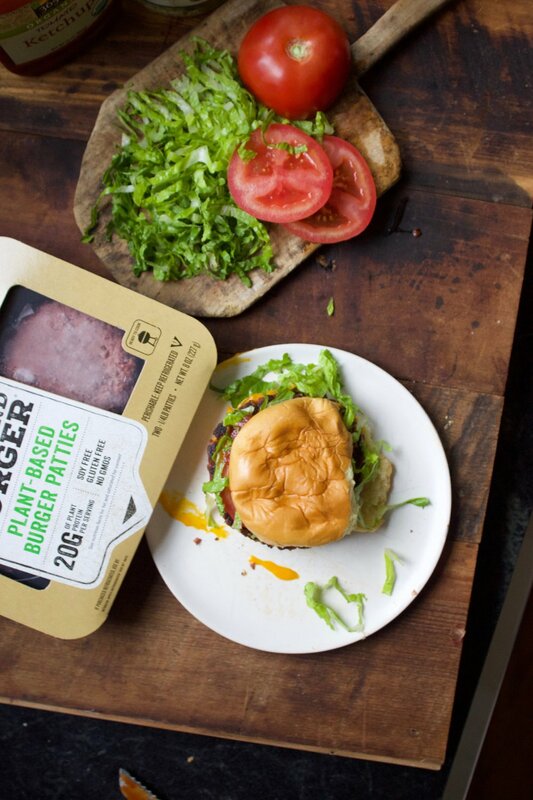 The mission of Beyond Meat is to create the future of protein directly from plants. 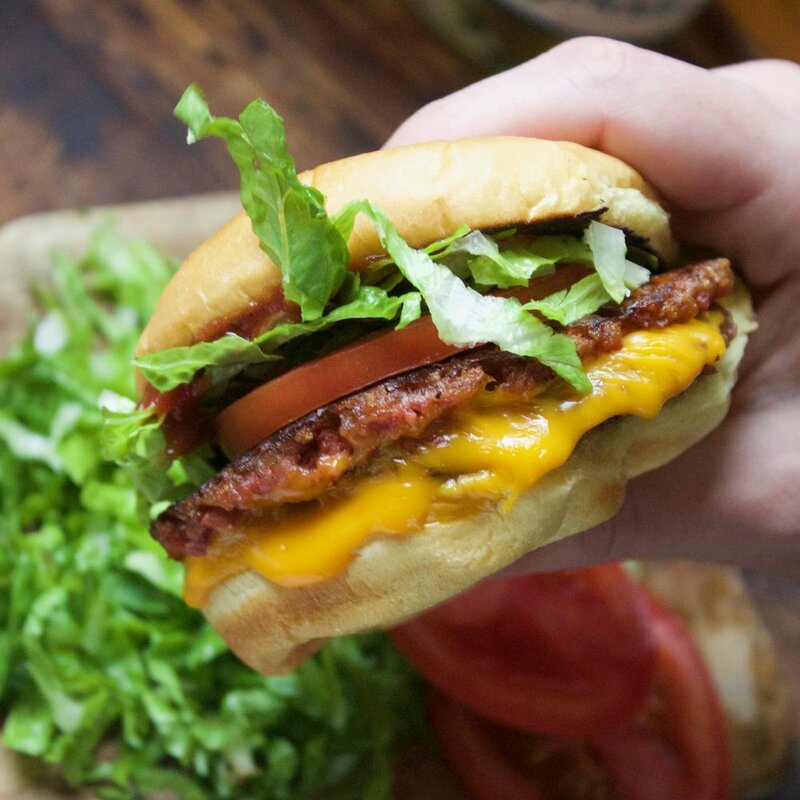 Even if you are meat eater, you will be pleasantly surprised at how much flavor is packed into each and every one of their plant-based burgers. For lunch, we heated up our Mini Griddle and decided to “smash up” Beyond Meat to make our first ever plant-based Baking Steel smash burgers. 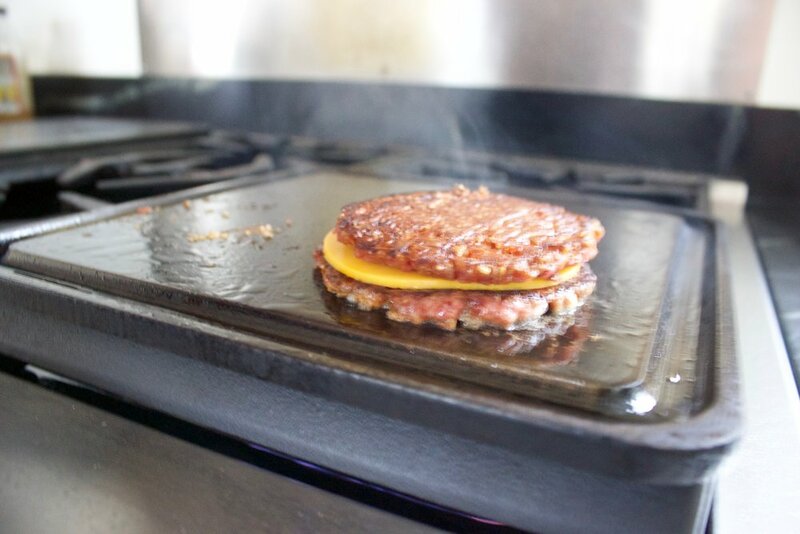 Each patty is big enough to slice into two ultra-thin patties, which we did before throwing them down on the hot steel. We charred them up nice with a bit of Daiya vegan cheddar in between. Topping them off with some shredded lettuce, tomato and special sauce, on a beautifully, toasted potato bun, these burgers did not disappoint. So if you’re looking to go meat-less or just want to check out something new, give Beyond Meat smash burgers a try! 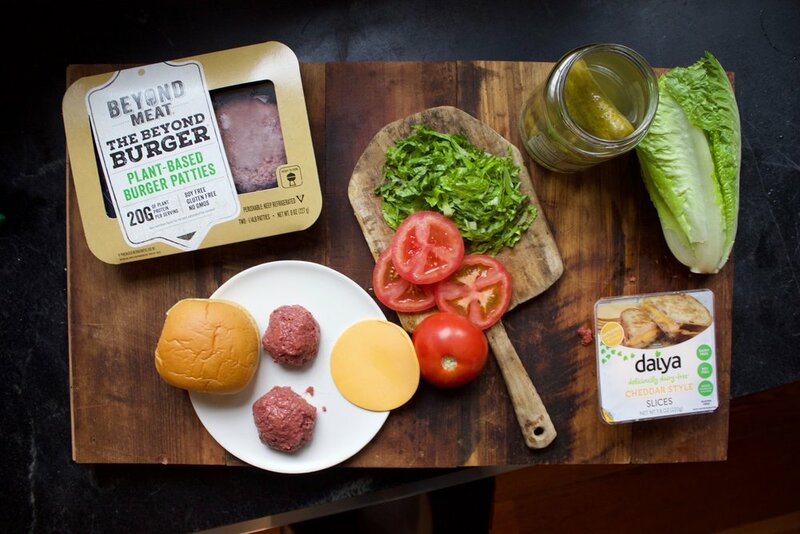 Defrost the Beyond Meat patties and turn it into a ball. Meanwhile, heat up your Baking Steel Mini to medium heat for 10 minutes. 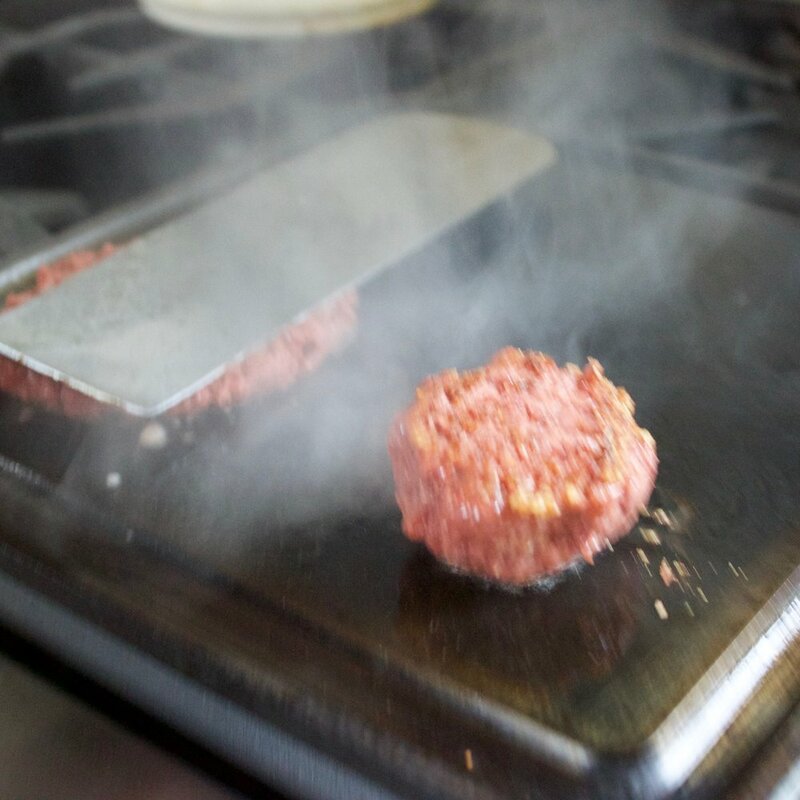 Carefully place your Beyond Meat balls onto the Griddle and press down lightly with a spatula. Just a slight press. Next using the spatula flip the ball over and squish it like a pancake. Let it cook for about 60 seconds. Do the same for both Beyond Meat balls. Place a slice of Daiya cheese on one of the patties and remove. Construct your burger anyway you see fit. We topped our with lettuce, tomatoes and pickles.